Amazon has developed software that automatically compiles a patient record. New software for medical centers should help them reduce costs and increase profits, they say at Amazon. Algorithms written by the company's specialists are capable of sorting out a large amount of digitized medical data and extracting useful information from them. Matt Wood, General Manager for Artificial Intelligence at Amazon Web Services, explains that medical professionals can now actually get accurate patient information offline. When he comes to the reception, the system already looks through all the records about him and makes up a relevant picture of his condition. 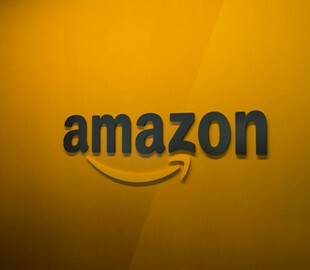 Amazon used deep learning to create its system. Medical Information Technology Specialist Taha Kass-Haut says that the results were very good. The software efficiently collects basic patient information and generates a compact report table from it. It contains information about diseases, prescriptions, orders, procedures performed and analyzes ever taken. The Fred Hutchinson Cancer Research Center in Seattle agreed to test the software. The service at the center will be set up in such a way that 500,000 people will be subtracted from a huge patient base –– it will subtract suitable tests for promising anti-cancer drugs, writes Engadget. Health care is a new, but rapidly growing trend in Amazon. In addition to software solutions, this year Jeff Bezos’s company bought a large online pharmacy. In August of this year, it became known that Amazon launches its own clinic.